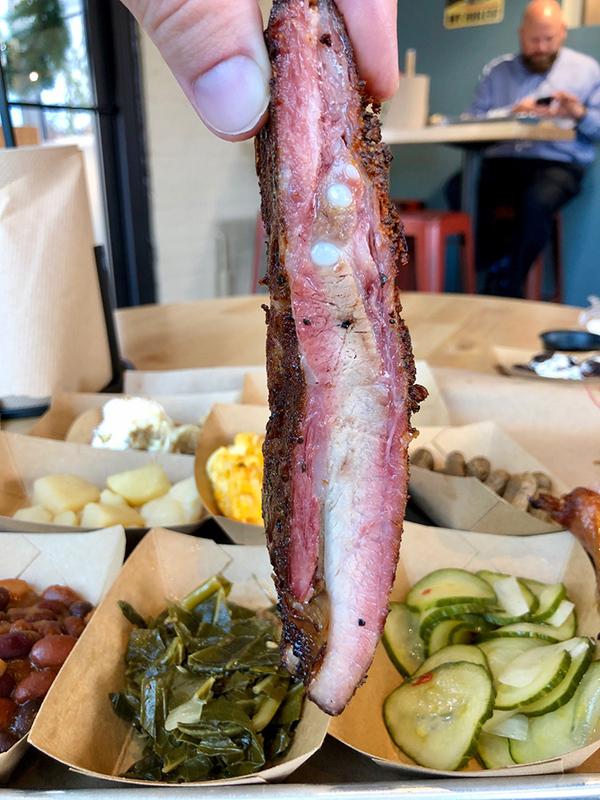 Charlotte’s barbecue scene just got a tasty new addition — Sweet Lew’s BBQ is now open, and will remain open until that day’s meats are sold out. 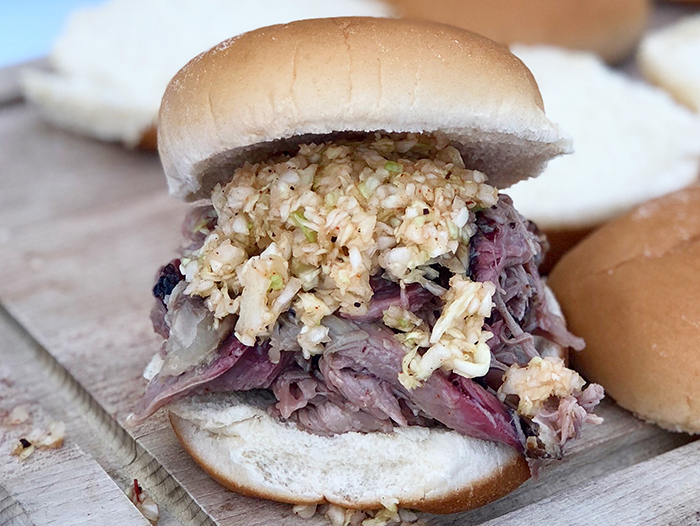 The fare is authentic old-school North Carolina barbecue, cooked over hickory and pecan wood. Don’t expect anything super fancy. Think Price’s Chicken Coop but with seating. 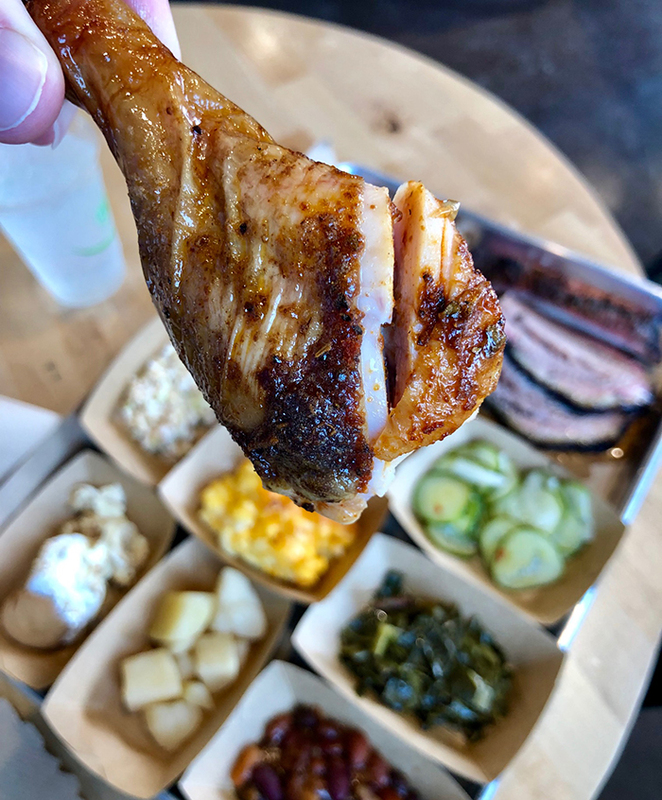 Sweet Lew’s BBQ’s hours are as follows: 10:30 a.m. until sold out or 9:00 p.m. Tuesday – Thursday; 10:30 a.m. until sold out or 10:00 p.m. Friday and Saturday; and 10:30 a.m. until sold out or 6:00 p.m. on Sunday. Closed Monday. The exact address is 923 Belmont Ave.
Lewis Donald aka Sweet Lew. 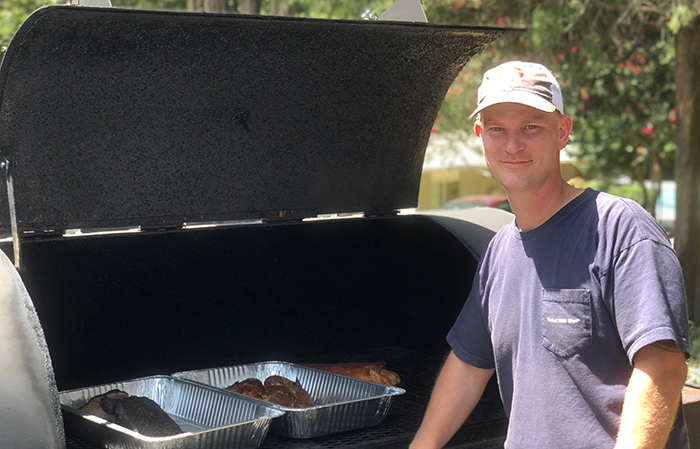 His previous experience includes includes leading culinary programs of Reid’s Fine Foods and Carmel Country Club and he’s also worked in the kitchen at Charlotte Country Club, Cherokee Town Club (Atlanta) and The Greenbrier Resort (West Virginia). 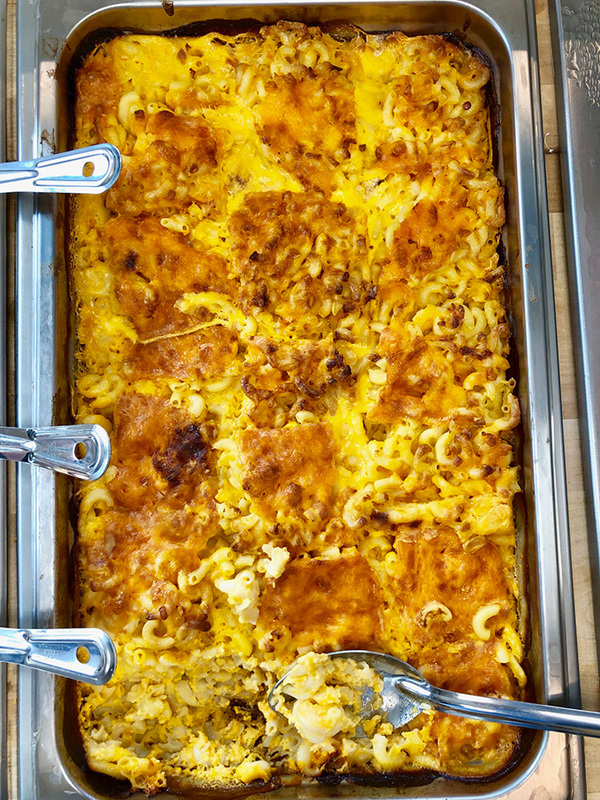 Sweet Lew’s serves pork, ribs, chicken and brisket — and boiled peanuts, a Southern delicacy. The menu includes Lexington-style chopped and pulled pork, dry rubbed spare ribs, smoked chicken, and beef brisket. In addition to the core menu, their daily specials include smoked turkey on Tuesday, hash on Wednesday, a fish fry on Friday, sausage on Saturday, and fried chicken on Sunday. 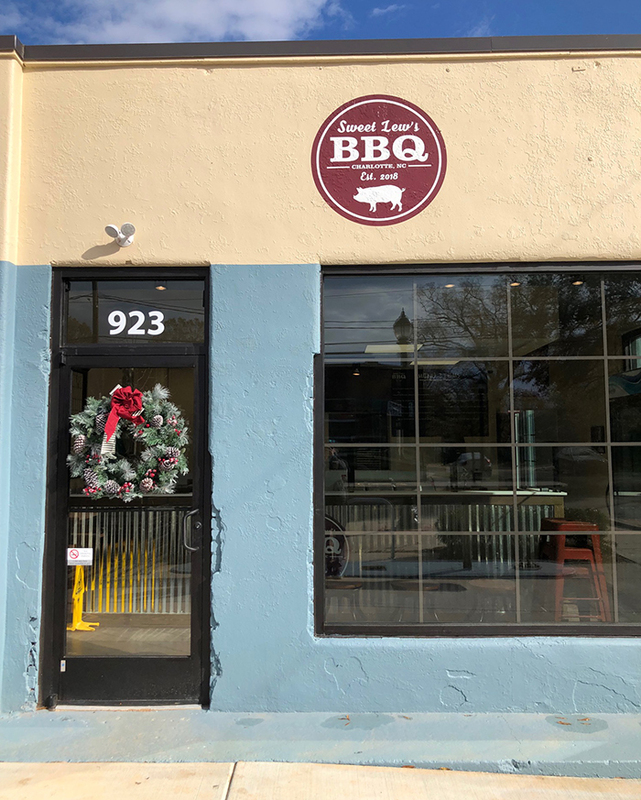 Popular menu items will include Sweet Lew’s pulled pork sandwich topped with red slaw with of two sides ($9) and beef brisket with two sides and cornbread ($14). 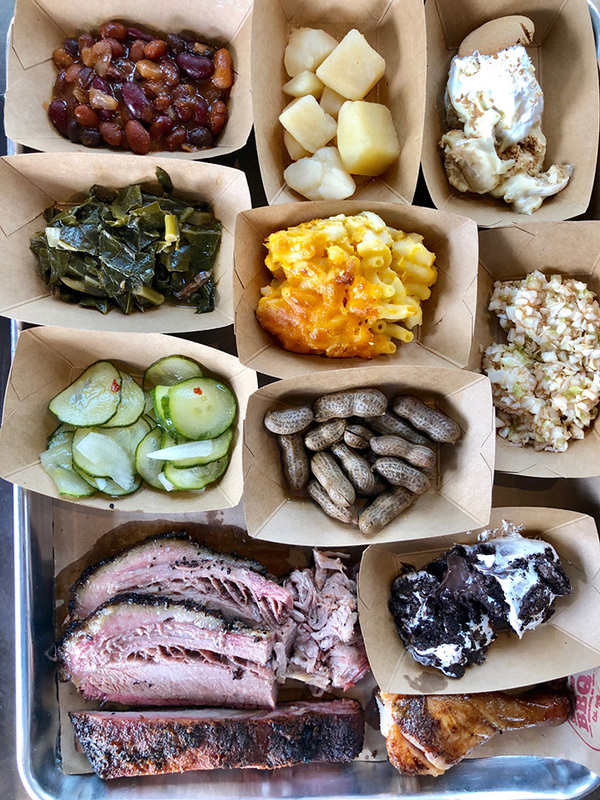 Sides include mac and cheese, collard greens, baked beans, BBQ potatoes and red slaw. 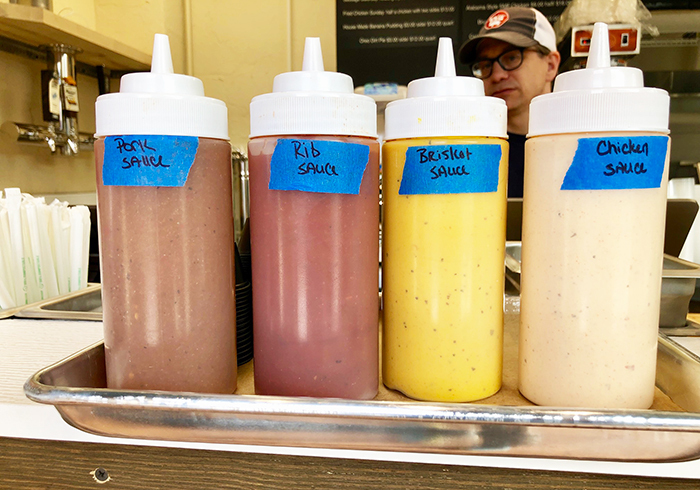 Each meat comes with a choice of sauces: an eastern North Carolina vinegar-based, Lexington-style tomato-based, South Carolina-style mustard and Alabama white sauce — all made in house and available to take home by the bottle. Daily dessert offerings are banana pudding and Oreo dirt pie. To wash it down, Sweet Lew’s BBQ offers draft local beer, one red wine, one white wine, one sparkling wine and three pre-mixed cocktails. 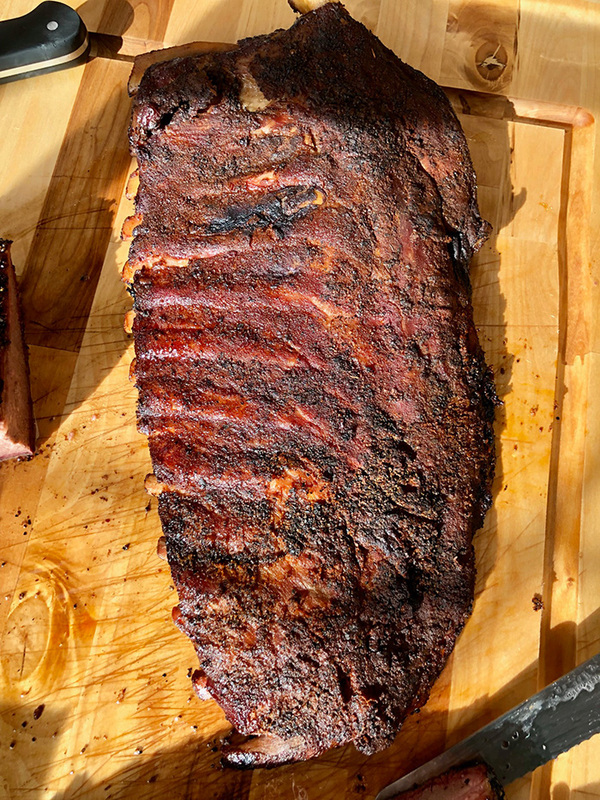 OMG, look at these ribs! Sweet Lew’s is located in the booming Belmont neighborhood. 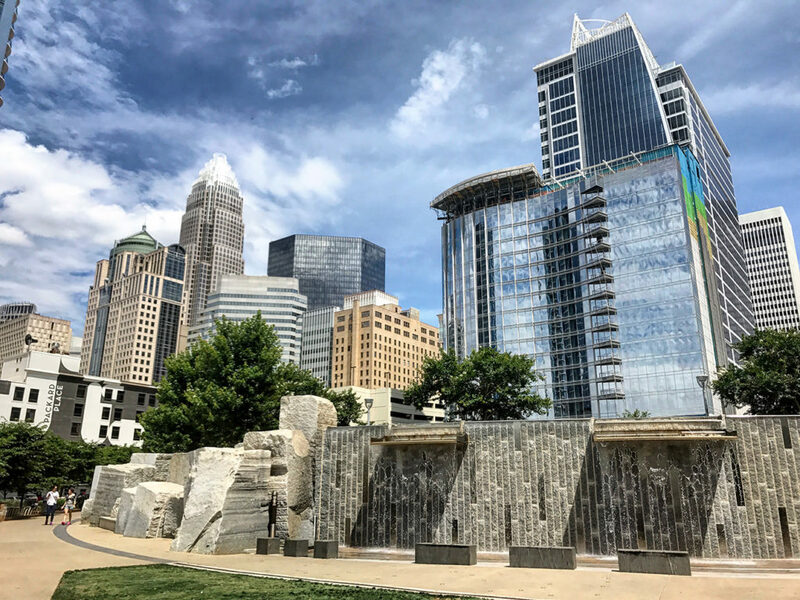 Sweet Lew’s approach fits well in its new home in the Belmont neighborhood, just a couple blocks north from the Catawba Brewing taproom and Advent Coworking space — and a half mile from Birdsong Brewing if you’re coming from that direction. The restaurant takes the space formerly occupied by an auto shop on Belmont Avenue. 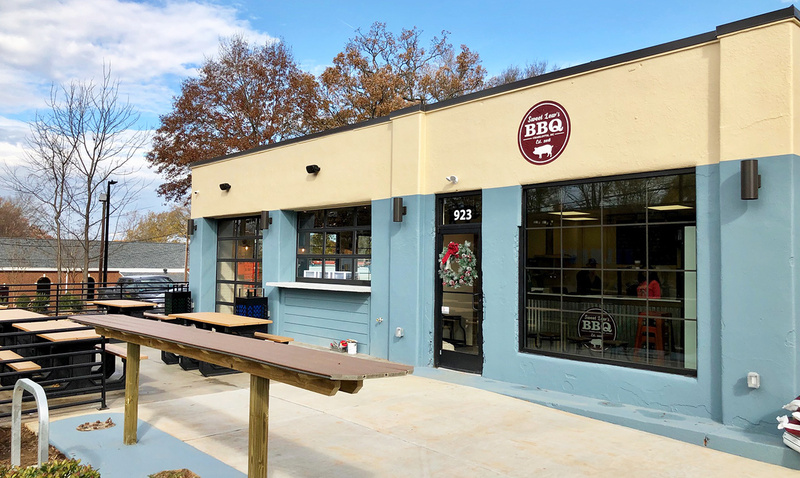 Sweet Lew’s BBQ will have a total of 75 seats (35 seats inside and 40 seats on front patio). Out back will be the smoker, all wood-burning with the coals going low and slow underneath the meat.